The first day’s itinerary is for your reference only; the schedule is subject to change upon your arrival. Fly from home to Chicago. For passengers arriving with domestic flights, please wait at Baggage Claim area; for passengers taking International flight, please wait at the Exit doors after retrieving your luggage. Tour guide will lead you to the meeting point. 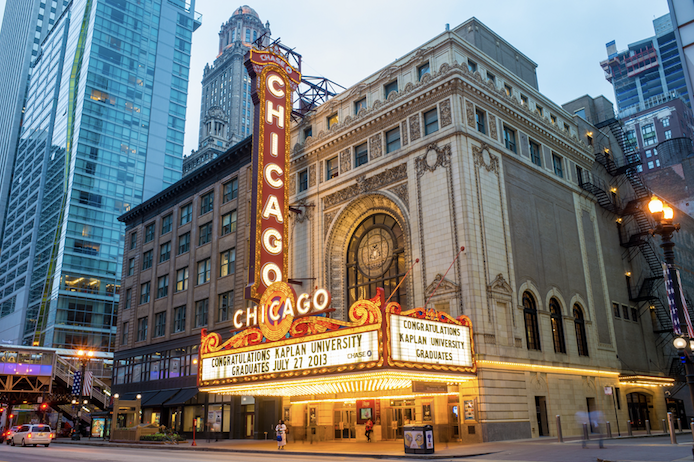 For those guests who arrive at O’Hare meeting point before 3:00pm, you will receive an additional gift - free transportation to the Fashion Outlets of Chicago which features many shopping and dining options, there’s no complementary airport pickup and shopping option for Midway Airport arrival. 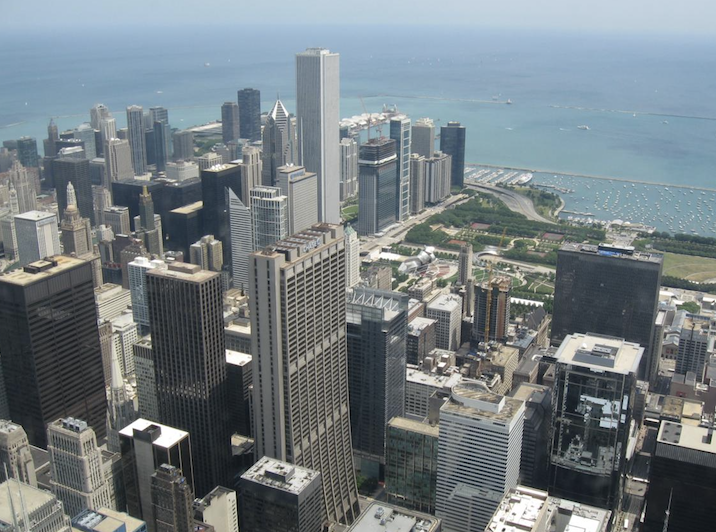 【*Chicago Night tour】 Start from the Crown Fountain at Millennium Park, we will set off for Michigan Avenue where you can have a wonderful view of the Magnificent Mile in the night and take a walk alongside the Chicago River. 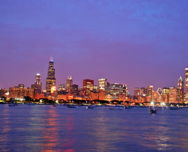 The last stop will be the Michigan Lakeside with the panoramic view of the world-class city skyline of Chicago. * 9am-9:pm ORD airport free pick up，meeting piont before 3:00pm free time in fashion outlet shopping. Our tour will start with Detroit, the capital of automobiles in the United States. 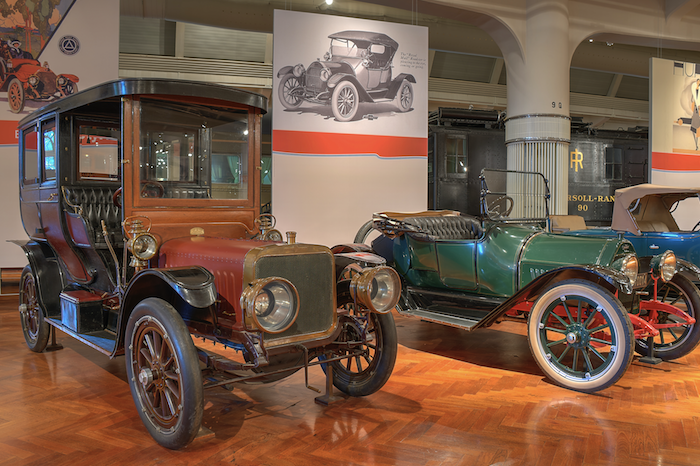 We will visit Henry Ford Museum, named after the founder of the Ford Motor Company which is the second largest carmaker of U.S. We will also stop at the headquarters of the General Motors Company. It still showcases how prosperous Detroit once was. Ford Motor Company is an American multinational automaker headquartered in Dearborn, Michigan. Its Headquarter is located at The Detroit River showing the how prosperous Detroit once was. 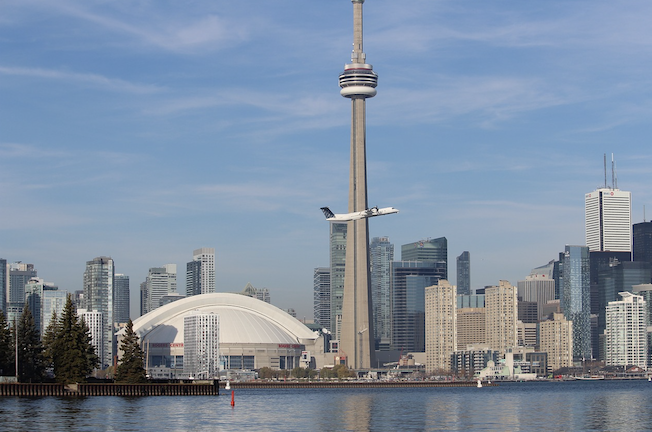 We will go visit Toronto - the largest city and financial center of Canada. The CN Tower will be the first stop here for fabulous views of the city and Lake Ontario. It is Toronto’s famous landmark, Next, Lake Ontario cruise offers gorgeous views of the city and vicinity from the waters. this cruise gives you a great way to see the city and meanwhile enjoy the nice view of the lake itself. We will also see the Ontario’s Provincial Parliament, the modernist styled City Hall. Afterwards we will head to the historical Chinatown enjoy a traditional Chinese dinner. It is one of the largest Chinatowns in North America, located in downtown Toronto. Itinerary: Toronto → CN Tower（Optional, 60 mins）→ Lake Ontario Cruise（Optional, 60 mins）→ Toronto Chinatown enjoy a traditional Chinese Dinner（Optional, 60 mins） We also pass by：Provincial Parliament, Toronto City Hall. CN Tower is a Canadian icon and one of the most recognizable North American buildings. Made entirely of concrete, this massive monolith was the tallest structure in the world at the time of its completion in 1976. Mariposa Toronto Harbor Cruise Lake Ontario Cruises offer gorgeous views of the city of Toronto from the waters of Lake Ontario, one of the famous Great Lakes of North America. See the city of Toronto and the surrounding area in a new way. We will have the whole day to enjoy the Niagara Falls from both the Canadian and US side. We are going to see the renowned Niagara Falls. Overlooking American Fall, the Horseshoe Fall and the Bridal Veil Fall, you will be astounded by the deafening roar of the falls. It’s the combination of height and volume that makes Niagara Falls so beautiful. Itinerary: Niagara IMAX Movie（Canada Side）（Optional, 30 mins）→ Hornblower Niagara Cruise（Optional, 20 mins）→ Skylon Tower & Lunch （Optional, 100 mins）→ Niagara Falls In-depth tour（Optional, 120 mins, including Whirlpool State Park 15 mins，Old Fort Niagara 60 mins） Special notes: 1. If not join the Niagara In-depth Tour, you can stay at the Niagara Falls State Park with longer free time. Niagara IMAX Movie（Canada Side）In 30 minutes, you will witness Niagara Falls incredible stories and history that would otherwise take a lifetime to experience. No Niagara Falls vacation is complete without a visit to see the Niagara Adventure Movie. This movie, tells the history of human interaction with the falls, focusing largely on the "daredevils" who have crossed, boated, and even jumped off them. Hornblower Niagara Cruise It's the combination of height and volume that makes Niagara Falls so beautiful. More than 6 million cubic ft. (168,000 cubic meters) of water goes over the crest line of the falls every minute during peak daytime tourist hours. This famous Maid of the Mist ride gets passengers as close as possible to the Niagara Falls! The Maid rides right into the mists thrown up by the roaring cascade as the Niagara River tumbles over the edge of the falls. Niagara In-Depth Tour This interesting and exciting tour includes two popular attractions: the magnificent natural wonder - Niagara Whirlpool State Park and the U.S. historic landmark - Old Fort Niagara. 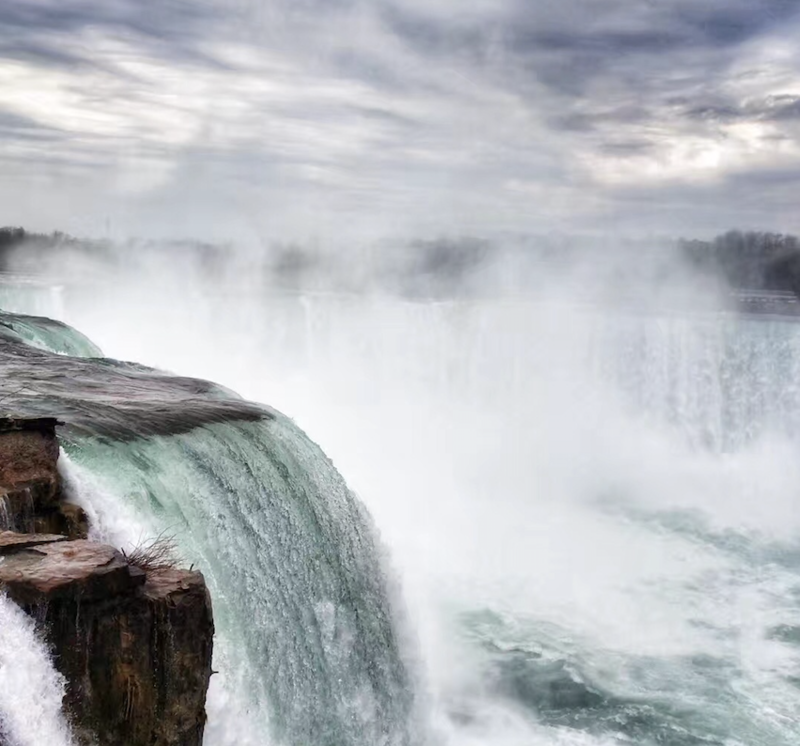 The Niagara Whirlpool’s greatest depth is 125 feet. It is estimated the whirlpool formed approximately 7,500 years ago by the upstream erosion of the Niagara escarpment by Niagara River. Old Fort Niagara is a rich historic landmark; it spans more than 300 years. Its commanding presence on the great lake caused it to play a critical role in the French and Indian War, the American Revolution and the War of 1812. The gorgeous Lake Ontario lies behind the Fort. 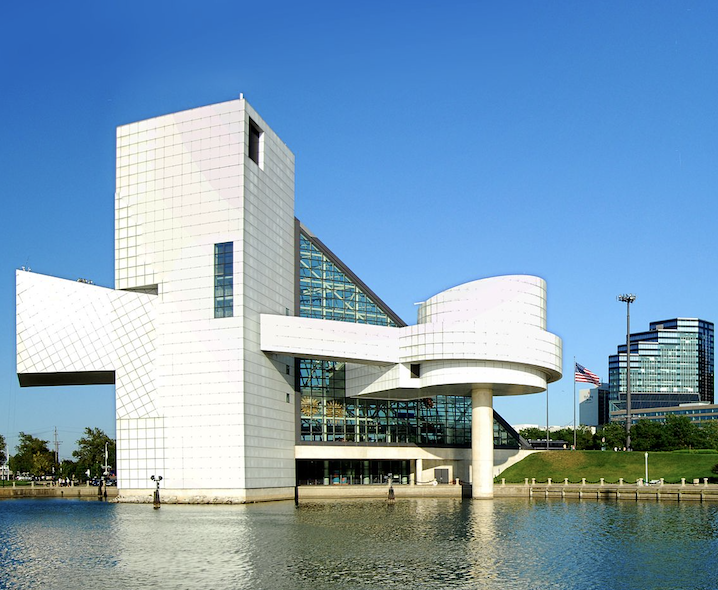 Rock N Roll Hall Of Fame was actually established quite recently, in 1983. Still, induction has quickly become a massive honor, and the pipe dream of many a young musician playing too loudly in their parents' garage. End tour and transfer to ORD Airport. Please book flight departure from ORD airport after 19:00PM. • Personal expenses such as laundry, telephone, soft drinks,alcoholic beverages, personal insurance costs, etc. • Tips to guide and driver, total $ 10.00 per person per day. • The tickets for the tour itinerary.